There has been a bit of a debate all season long about what the best central midfield partnership is for West Ham United. From a three to a two there has been quite a bit of chopping and changing from manager Manuel Pellegrini. Now, however, he seems to have found the solution. Mark Noble and Declan Rice excelled against Arsenal, producing excellent performances which kept the Gunners at bay and propelled the Hammers to a famous 1-0 victory. 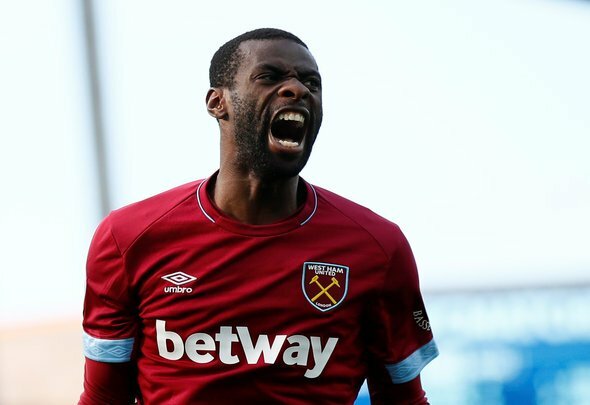 Unfortunately for Pedro Obiang their success has surely ensured that he is set for a long spell on the substitutes bench. The 26-year-old has had an up and down campaign, but for now he’s going to have to settle for a spot on the sidelines. The Spaniard isn’t a bad player by any means, he’s just a bit ordinary. He’s doesn’t do anything particularly special and he’s probably best utilised in the role he served on Saturday, coming on late on when his team were ahead to shepherd them to victory. Rice, in particular, was magnificent against Unai Emery’s side. It was clear from very early on that he had decided to take the game by the scruff of the neck and wasn’t going to let go. He contributed in all phases of the game, making a vital block from Alexandre Lacazette in the first half before putting West Ham ahead just after the break. If his talent wasn’t obvious before this match it certainly is now – Rice is one of the finest young footballers in the Premier League. His value to this Hammers team cannot be overstated. It’s mostly been a case of who do you play alongside him in midfield for Pellegrini this term, but Noble must have nailed down the spot on Saturday. He wasn’t exceptional, but he did what he needed to do to help his team get the win. He was combative and full of energy, and he let the more talented players in his team do the heavy lifting going forward. It does appear as if Pellegrini finally has the answer to his central midfield conundrum and, unfortunately for Obiang, it spells bye bye for the Spaniard’s first team hopes.